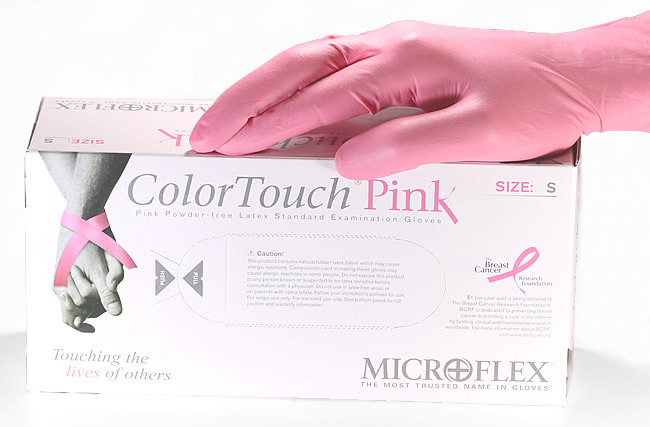 • Relaxed comfort for reduced hand fatigue Touching the Lives of Others ColorTouch Pink latex gloves from Microflex deliver medical-grade barrier protection with consistent comfort and quality in every box. Made from high quality, polymer-coated latex, ColorTouch Pink latex gloves go on easily and wear comfortably. 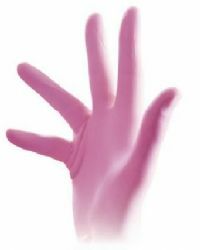 With relaxing all-day comfort and a wonderful cause attached to its sales, ColorTouch Pink latex gloves are a worthwhile change from ordinary hand protection. ColorTouch Pink latex gloves from Microflex are more than great hand protection, they are a product you can be proud to use every day, as your purchases directly support The Breast Cancer Research Foundation in their search for a cure to breast cancer.